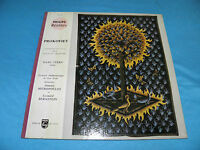 ANDRE LEVY SHOW PIECE , 7" RECORDS PAIR SET. LUMEN ,ED1. RARE. soyouz58 has no other items for sale. 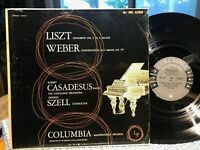 MOZART - Piano Sonata #10 / 9 Variations CLARA HASKIL Philips 10"
Artist: ROBERT CASADESUS Record Size: 10"